Mark Heidelberger saw “Ghostbusters” four times in the theater. All these years later, he’s making films as unique and original as Ivan Reitman’s 1984 classic. A well-regarded producer who has worked with the likes of Christian Bale, Ed Asner and Malcolm McDowell, Heidelberger recently filled us in on how he got into producing, clues us in on what a producer does and reveals what he has coming up. Meagan Meehan (MM) of Movie Vine: How did you get into producing, sir? 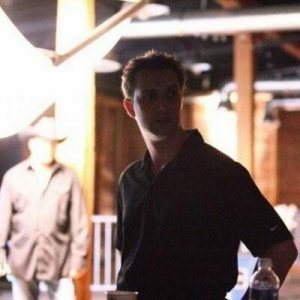 Mark Heidelberger (MH): I went to film school at UCSB in the late 1990’s where I had produced and directed some shorts. When I moved to LA, I met up with an old school buddy who asked if I wanted to produce and maybe direct some music videos with him. I said yes to the producing part, but I still wasn’t sure exactly what I wanted to do as a career. I decided to apply to UCLA’s producing program and AFI’s directing program, both of which are master’s degrees, and told myself that whatever one I got into would be the career path I pursued. (I guess I would have been SOL if I didn’t get in to either.) Well, AFI rejected me, but UCLA accepted me, so that helped make my decision easy. I went to UCLA, and my passion for producing grew while I was there. I realized that’s what I wanted to do. Maybe my acceptance was divine intervention. And during that same time, I started building my company, Treasure Entertainment, which I co-ran until 2011. MM: When and where did it all start for you? MH: The 1980’s was a golden era for cinema as far as I’m concerned. I remember seeing Ghostbusters in the theater four times in 1984. It was the movie that made me want to be part of the movies, although I didn’t have any idea in what capacity since I was only seven. In fact, I had no idea what a producer even did back then. But I knew that’s the world I wanted to be a part of. MM: Have the projects gotten bigger and bigger over time? MH: Not as big as I’d like. But that’s part of dreaming, right? You gotta dream big. Most of my pictures have been in the lower budget indie world – say, three million and under. But I’m working on one right now that I’m very excited about called Walking on Palmettos that’s got a $30 million price tag. It’s based on the true story of Myles Richards, this privileged but restless surfer who managed to build a marijuana-smuggling empire in the 1970’s that made him a millionaire, but also estranged him from his disapproving father and drew the attention of a relentless FBI agent who was determined to bring him down. I’m hoping to have that one in production in 2019. MM: And during those early years did you work another job, too? MH: When I was building Treasure Entertainment, I went to grad school at night, lived on student loans, and built the business during the day. But it definitely wasn’t big enough to live on by the time I graduated in 2003, so I took a job as a runner for a trailer house called Open Road and eventually worked my way up to assistant, then coordinator, then production supervisor in the print department of their parent company, New Wave Entertainment. It wasn’t until maybe 2007 that I was doing well enough to quit that world and go full time as a producer and literary manager. MM: Has it always been about feature films? What about TV? MH: Well, again, it actually started in music videos. My partner and I would run around Sunset Boulevard hitting up any band who would slice us off five grand to shoot them a video. And this was pre “digital revolution,” so we were shooting these videos on 35mm or super 16mm film. From videos, we made a natural leap to commercials, although most of the stuff we got was local or regional. But the goal was always feature films. That’s what inspired my career choice, so that’s where I wanted to take the company. Some of our early stuff like Flintown Kids and Man Overboard were definitely indie, but at least I was doing what I set out to do. I dabbled in TV. I co-executive produced a Hallmark Channel MOW called You’ve Got A Friend back in ’07 and developed a number of TV show ideas with my management clients. But you know, TV was such a different business, so I didn’t really explore it like I did film. Today, with Netflix and Hulu and Amazon changing the game, the line between movies and TV is blurring. Everything is just “content” now. MM: Can you give the readers an idea of what a producer does? MH: There’s an analogy I like to use that often helps demystify the role of a film producer. I tell people I’m like “the conductor of the orchestra.” I might not know how to play the cello or the French horn or the timpani drum, but I know how to find all the musicians, put them together and make them play. I pick the music and guide the performance. I know how it should sound. Plus, I know enough about each instrument to tell if something is wrong and how to fix it. In terms of my actual core duties (on a film anyway), I find and develop the underlying written material like the story and script, procure and manage the financing, hire the director, participate in the hiring of other important elements like lead cast and key crew (production manager, cinematographer, editor, etc. ), guide the overall creative direction through production and post, secure distribution, and oversee marketing and publicity efforts to ensure the film reaches its audience. The producer is the project’s creative and fiscal gatekeeper from inception through release. That’s the main reason why I love it. You’re the only guy on the picture that’s there from the very beginning to the very end. MM: And what’s your responsibility on, say, a movie like “The Basement”? MH: On that one, I was not only one of the main producers, which meant I had an active say in the creative direction of the script, cast and distributor, but I was also the line producer/UPM and post supervisor. As the line producer/UPM, I was responsible for scheduling and budgeting the film as well as managing the day-to-day execution on set. As the post supervisor, I also managed the day-to-day during the post process from editing all the way through delivery. MM: Is there a lot of pressure on you with a film like this, being that you are the lead producer? MH: There can be pressure during certain moments, like when you’re crunched for time and about to lose your location. But you just have to figure out a solution and make it work in the end. Overall, I stick to a pretty tight process and hire quality people, which ultimately means I don’t need to feel pressure in the grand scheme of things. Being a good producer means laying out the result you want, when you want it by, and what resources you have to get there, and then trusting your team to make it happen. I tell people, “Look, I hired you because you’re better at what you do than I am at what you do. That’s why you’re here. So, go do it. And if there’s a snag, I’ll be here to help you deal with it.” Fortunately, I had good producing partners on the picture in Nathan Ives and Brian Conley, who also co-wrote and co-directed. Plus, I’ve dealt with name cast and significantly larger budgets over my 18 years of doing this, and you just learn to not get bugged by things you can’t control. MM: How did you wind down at the end of the day? MH: Depends on the day. If we’ve just wrapped a picture, usually with a scotch and a cigar. MM: If we were to watch one movie of yours – and your choice which one – which would you suggest it be? MH: My mother told me she thought Comfort was the best movie I ever produced. And who can argue with Mom, right? So, if I had to pick one, I guess I’d go with that one. It has one of the smallest budgets of any film I’ve ever done, but it’s also one I’m immensely proud of. To learn more about Mark and “The Basement,” see here. 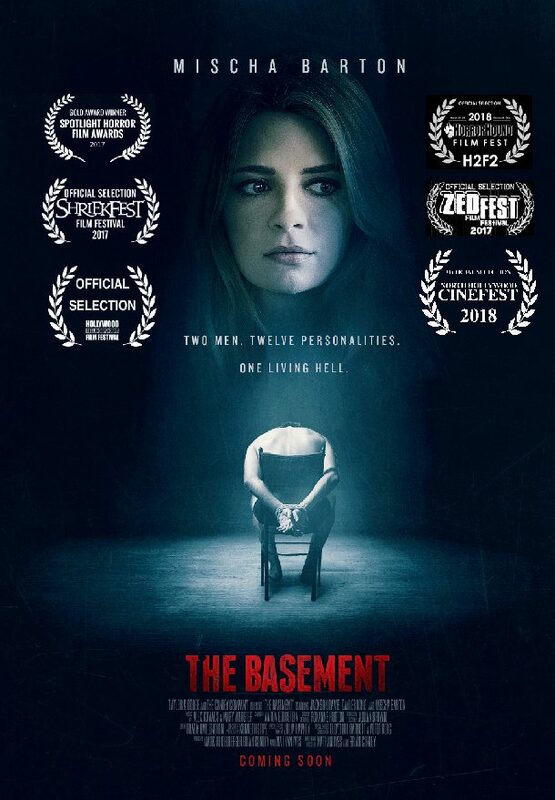 Comments for “The Basement”: Producer Mark Heidelberger Discusses his Latest Movie are now closed.